YouTube can be used by different people for different purposes and this includes business, individual or product promotion. We can see different types of videos on YouTube and these include how to videos, product description videos, music, dance, exercises etc. YouTube videos are created to reach the target audience to increase the engagement. One of the popular videos categories on YouTube is news. 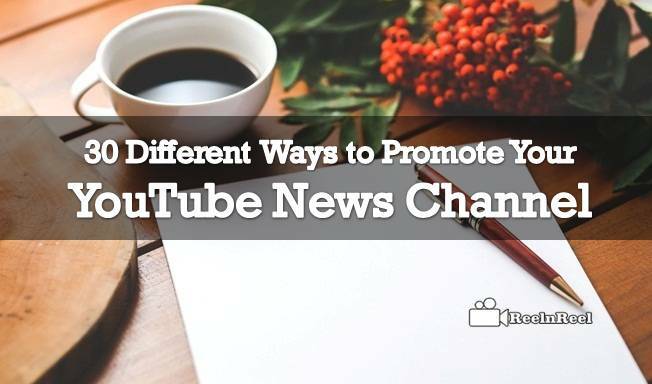 Here are few tips that help to promote your YouTube news channel. 1. To get instant recognition for your News channel, use the YouTube cards feature. 2. Optimize each video using search engine optimization to get more YouTube views. 3. Even before the YouTube news channel promotion is started, there must be some interesting videos in the channel. Do not forget that whatever the type of videos, hey will be noticed if the content is good. 4. The content of the videos can be very great but there is a need to promote and market them. One of the ways is to use the social media for your news channel promotion. 5. The more subscribers your news channel has, the more hits your videos will receive. It is not difficult to get views and subscribers. Offering unique video content is one of the reasons for the viewers to follow you. 6. Do not post the same content on different social media platforms as this can discourage the viewers from following your news channel on both the platforms. 7. Take full advantage of the social media sites and write great portfolio about your news channel on these sites. 8. Post the links to your videos on the social media sites whenever possible. 9. Check the most popular videos on your channel and make a playlist of them. 10. If you own a YouTube news channel, use the trending hash tags so that your videos get instant exposure. 11. While promoting your News channel on social media will give effective results, there is another powerful marketing tool for this purpose and it is email. 12. Provide Live Events if possible. 13. You can have a blog to attract the traffic and can also use it to promote your videos. 14. Let people who visit your blog know that you also have a YouTube channel. 15. Use catchy headlines to your videos in YouTube channel. 16. Ask the viewers to subscribe to your News channel through call-to-action. 17. Create a great trailer for your YouTube channel. 18. Follow a regular schedule to upload your videos. 19. Engage your viewers by keeping contact with them. Ask them questions, reply to them and respond to their comments and queries. 20. Running contests can be fun and engaging. Ask questions about current affairs and other trendy topics. Encourage them to participate in the contest. 21. Creating a Facebook page for your YouTube News Channel helps for the organic reach of the posts. 22. Joining the partner’s program of YouTube can help your videos get promoted. 23. Take advantage of the branding options. 24. Another marketing opportunity for promoting YouTube news channel videos is to attach them to the email signature. 25. The keywords for videos in the news channel must be carefully chosen as this help to rank higher in the search results. 26. Choose thumbnails for your videos carefully. 27. Be active and comment on the videos of others. 28. You can advertise your channel offline as well if you have a budget. 29. Guest writing for other news blogs, magazines etc will give you more exposure. 30. Promote your channel through Paid Adverting. Like any other category of YouTube videos, News videos also need to be promoted and marketed well too for the success of the YouTube channel. Following the above might help to increase your views and subscriptions. If you don’t have an idea to make promotions after launching YouTube news channel and you want to get the extraordinary success in short period. Then it’s the time to explore your channel by following all these tips.